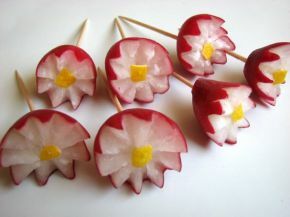 Wash the radishes. 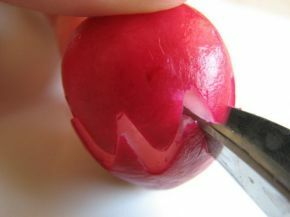 With a V-shaped knife - decorator, cut the radish in the middle to make a zigzag cut across the entire radish. 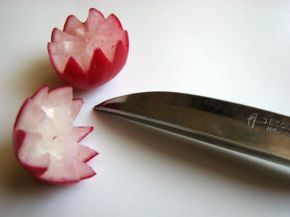 The two halves are separated. 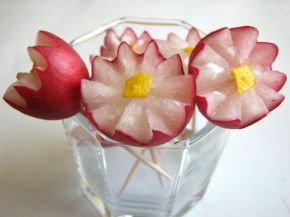 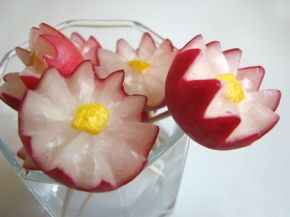 Pin up the radish flower with a toothpick, make the stamen from a lemon peel and place it on the tip of the toothpick.